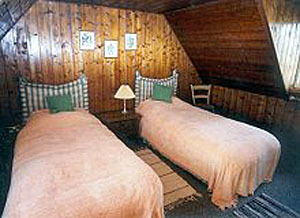 Dounie, private, double banked salmon fishing in beautiful surroundings. 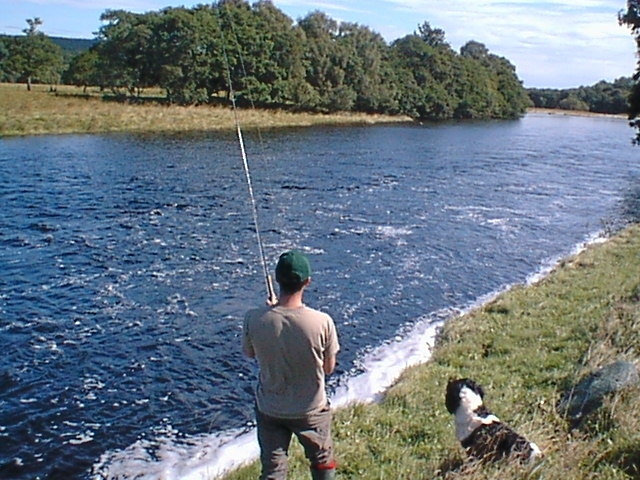 The river Carron is one of a number of famous rivers that run into the Kyle of Sutherland. The Carron, like the neighbouring Oykel, Cassely and Shin is to a degree a spate river. If the water is up, tremendous sport can be had and in lower conditions the stealthy fisherman can still be successful. Dounie is a picturesque, predominantly double bank beat and lies immediately upstream of Cornhill and Gledfield. 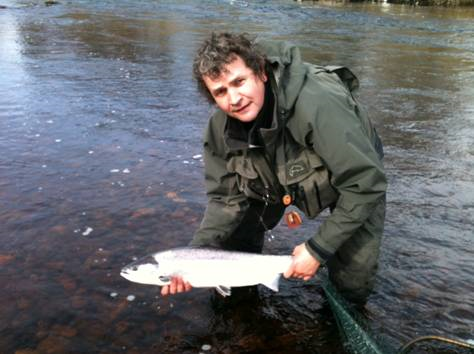 Dounie had a record season in 2012 with a total of 185 salmon and grilse caught, of which all but 11 were released. An average of 110 fish are caught each year. 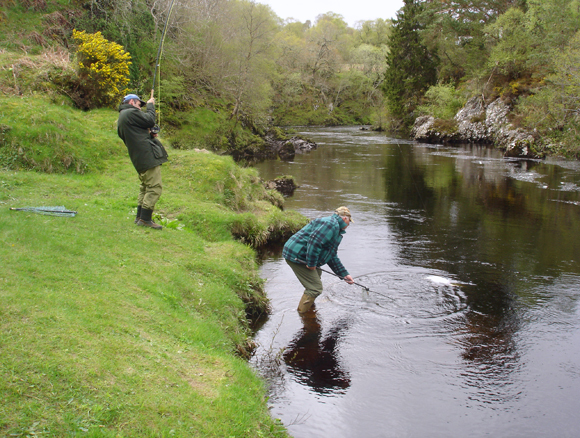 As with all spate rivers, the conditions at Dounie change from day to day and from season to season. Although our visitors can reasonably hope for some excellent sport, their only certainty is that they will fish an absolute gem of a beat – with plenty of Scabious Blue, Yellow Daisy, Bluebells and Daffodils to soothe the soul. 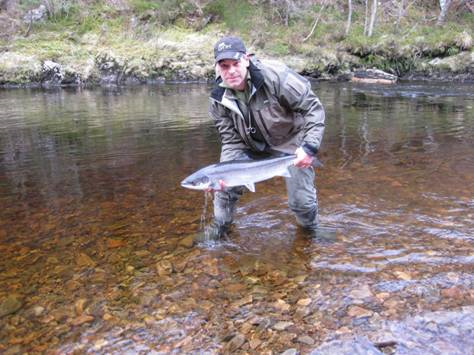 Fishing The River Carron opens on the the 11th of January and closes on the 30th September. 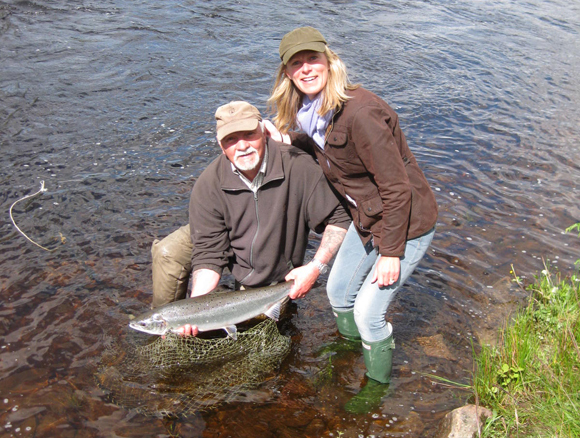 The Carron is well known for its Spring fishing and there will be fish present in the river from opening day. Fishing effort, however, intensifies in March. Given water good sport can be expected right through to the end of the season There are a wide variety of pools which will satisfy both beginner and expert alike. The open landscape of the upper section contains a number of large pools interspersed with rapids; in the middle section there is a series of slower pools in deep gorges; in the lower section the river banks open out through fields and woods. There are a total of twenty two named pools, most of which are easily accessible. The resident ghillie will show new anglers the beat, and is available for advice if required. Two beats are let, each of two rods. The estate owns both banks for the majority of the beat, but only the south bank is let. Beats are exchanged at lunch time each day. In common with all beats in the Kyle of Sutherland area, all fish are returned until mid-June, and thereafter the vast majority are returned. This is a well-loved beat, with many anglers returning year after year. Wading when required is easy, with some staging and platforms to help anglers cover the best lies. Spring- 14/15 ft rod, not for distance but for ease of handling heavy lines and flies.As the water drops it is down to personal preference. Spring- Black and yellow, Kylie, Ice Maiden, Monkey, Willie Gunn- Generally tubes with a wing length of 1.5-4″ dressed on aluminium, copper, cone-heads size dependent on water height, temp and sinking speed of line. Summer/Autumn- Stoat, Silver stoat, Cascade, Red Ally, Kylie, Willie Gunn, Collie, small hitch tubes. A selection of sizes from 8 if the water is up down to a 14 in low clear conditions. In the spring the north of Scotland can be an inhospitable place and decent clothing- thermals, gloves, etc can make all the difference to the enjoyment of a week. 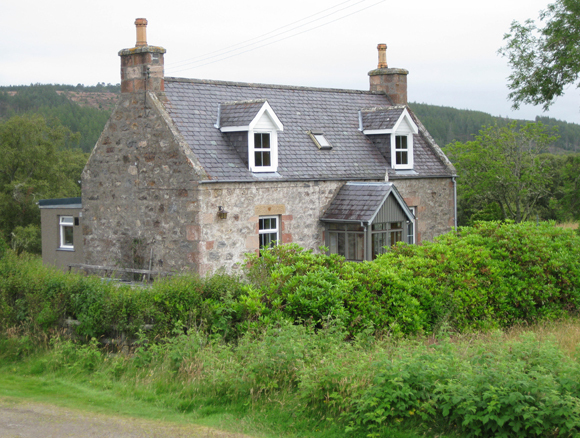 The Bard Cottage The Bard is a traditional cottage set just back from the Dounie beat with lovely views over the adjacent mountains. 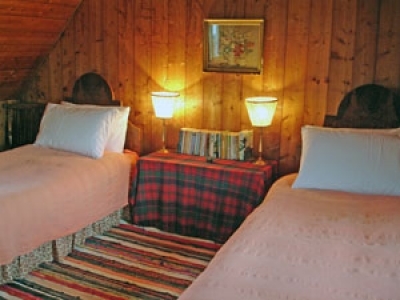 The sitting room has an open fire and the property sleeps 4 in two twin bedrooms. 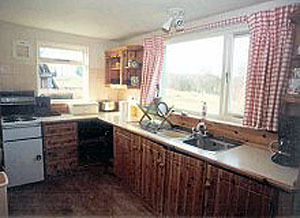 Prices start from £390 per week. 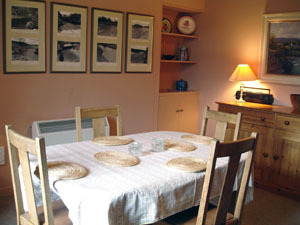 Lettings are Sunday to Sunday.